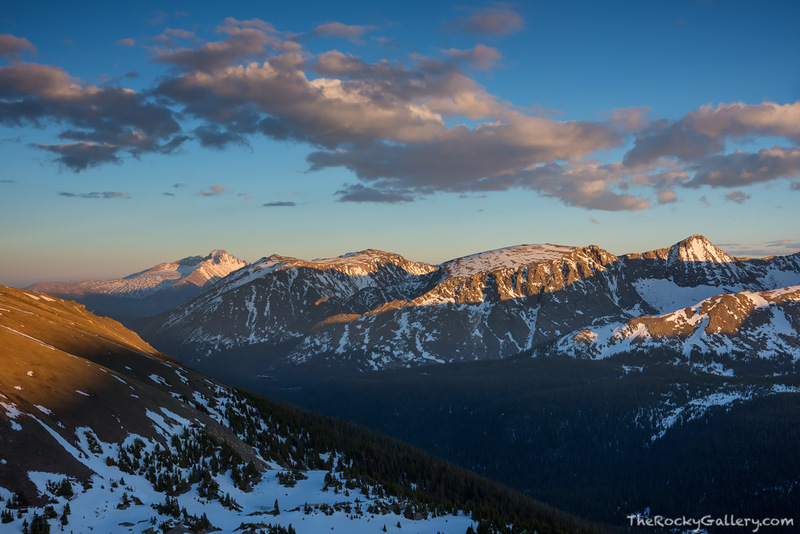 The long shadows of a June sunset in Rocky Mountain National Park creep and cover over Forest Canyon below the high peaks of Rocky Mountain National Park. Mount Ida, Terra Tomah and Longs Peak still have a beautiful golden glow but shortly mysterious and beautiful landscape of Forest Canyon and the high peaks of Rocky will be covered over in shadow. Photo © copyright by Thomas Mangan.